The South West Coast Path winds its way along the cliffs and through the steep valleys of North Cornwall, passing through Bude. Guests at Surf Haven can enjoy a walk given the South West Coast Path passes only 300 metres away from us. 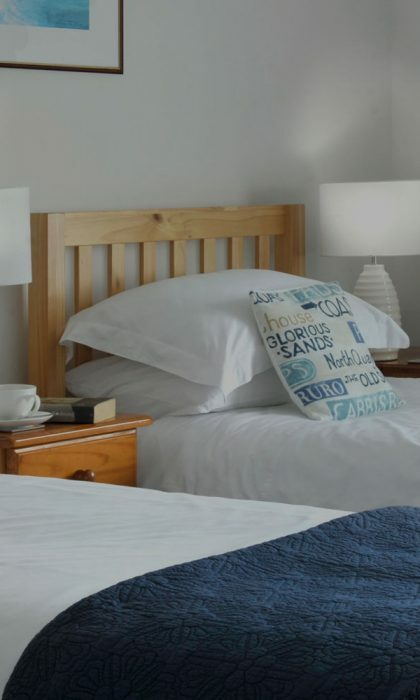 Surf Haven also welcomes intrepid adventurers walking from Minehead to Dorset who are looking for accommodation near the South West Coast Path in Bude. 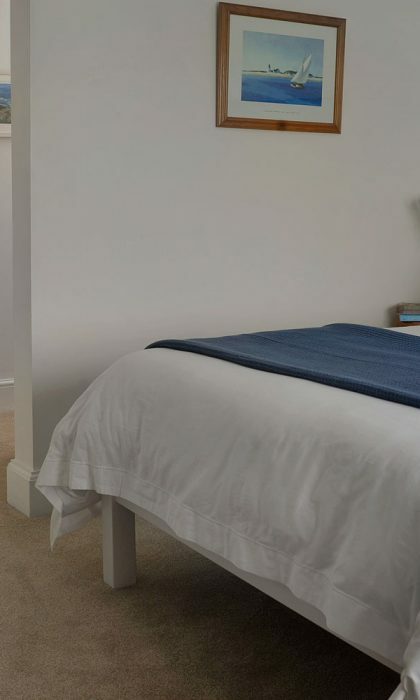 Not only are our comfortable beds and ensuite rooms ideal for those looking to rest weary limbs at the end of a long day’s walking, but we have drying facilities for boots and wet weather gear too. 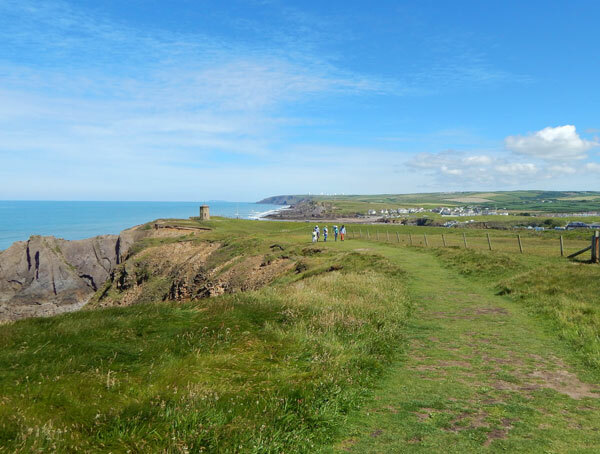 For those setting out northwards from Bude, the South West Coast Path offers a good (if strenuous) day’s walking along the clifftops dropping down into picturesque rocky coves and beaches including Northcott Mouth, Sandy Mouth and the delightful Duckpool. Those returning to Bude may want to turn around once they reach the village of Morwenstow, or venture inland to walk a circuit through wooded valleys around Coombe or Stowe. For those walking the full length of the South West Coast Path, Hartland Quay might be a sensible target, some 15 miles from Bude. It’s a tough section, but you should be rewarded for your efforts with fantastic views of the Atlantic breakers crashing onto the rocks. The South West Coast Path heading south from Bude starts easily on a grassy bank above the Bude Beaches, but quickly climbs onto high cliffs before dropping down into the sweeping expanse of Widemouth Bay. If you can resist the temptation to stop at one of the many cafes and restaurants along this section, then those looking for a circular walk could return via the picturesque village of Marhamchurch a few miles inland. Those continuing on the South West Coast Path will climb onto high cliffs with fantastic views over the Atlantic before reaching the lovely community at Crackington Haven. Even if you’re not walking the South West Coast Path, if you stay at Surf Haven in Bude, there are a wide variety of walks available – all starting from our front door. A number of circular routes taking in the tow path along the canal, atmospheric local villages, steep wooded valleys and hilltops offering fantastic views in every direction can be reached with something suitable for those of every ability. We’ll be happy to advise you on the different options available to you. 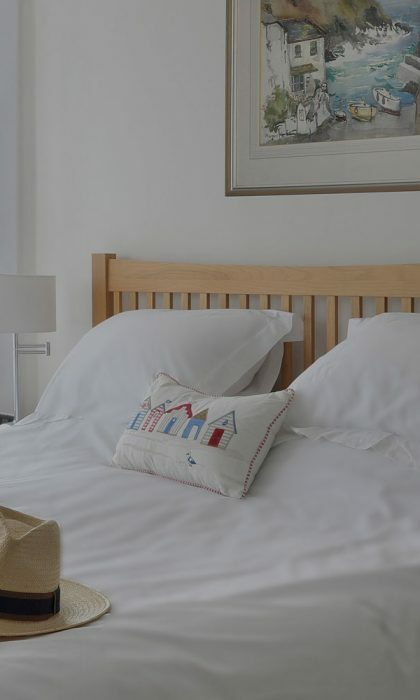 All of our rooms include comfortable beds and ensuite bathrooms or shower rooms. Our Superior Rooms offer views of the coast and local golf course. Caroline’s breakfasts are made with local ingredients and cooked fresh each morning. In the evenings, enjoy a drink at Surf Haven and watch the sunset. 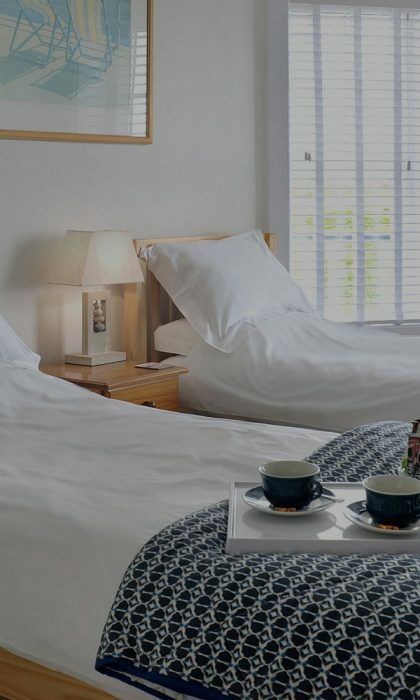 Surf Haven is perfectly located if you want to take a day off from walking, with shops, restaurants, pubs and beaches within a short, easy walk. 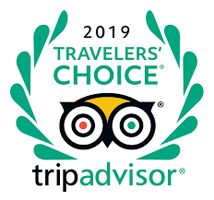 TripAdvisor has named us as one of the top 25 Bed & Breakfasts in the UK - the only B&B in the list in Cornwall. We're a Bronze award winner for the B&B Guesthouse of the Year at the Cornwall Tourism Awards. 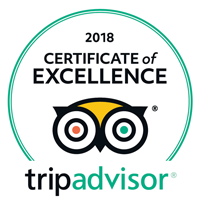 We've been awarded the TripAdvisor Certificate of Excellence and remain Tripadvisor's No. 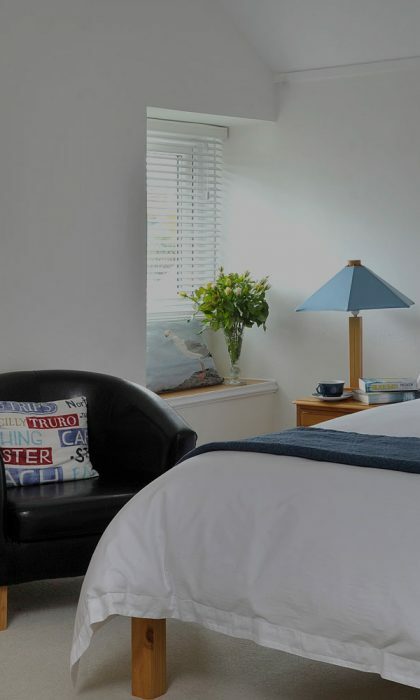 1 B&B in Bude.